Eyelash curling creates length and volume for a wide eyed effect and a fluttery curl on natural lashes. Combine with an eyelash tint for ultimate natural looking results. No adhesive, extensions or mascara needed. Create length, lift and volume to natural lashes with an eyelash lift. This treatment is an alternative to eyelash extensions using your own lashes. Silicon shields are used to create a bend and lift lashes for that wide eyed look and breathtaking lashes. Have you lost the definition of your brows ? Over plucked, thinning or non-existent ? Overgrown or untouched ? Are they feeling unloved ? For every arch, every smile and even the occasional furrow, reveal the true beauty of every expression with brows tailored perfectly to you. A bespoke eyebrow styling service from the prestigious Mii Mineral Makeup range. Available exclusively in selected Salons and Spas. Brows to enhance the face and lift the eyes. Naturally groomed or fashion statement brows. See your new look before treatment starts. Tinting > waxing > tweeze and trim (threading optional). Perfectly finished with Mii Minerals. No redness or trauma – just beautifully groomed brows & calm skin. An exclusive range of affordable and easy to use home styling products is also available (priced at just £11.95 to £16.95). Fantastic to maintain your look between appointments. The ultimate in must have brow treatments. Mina Henna is a new and innovative eyebrow styling service that uses a specialist Indian Henna to create naturally defined and healthy brows. Available exclusively in Mina Henna trained salons only. 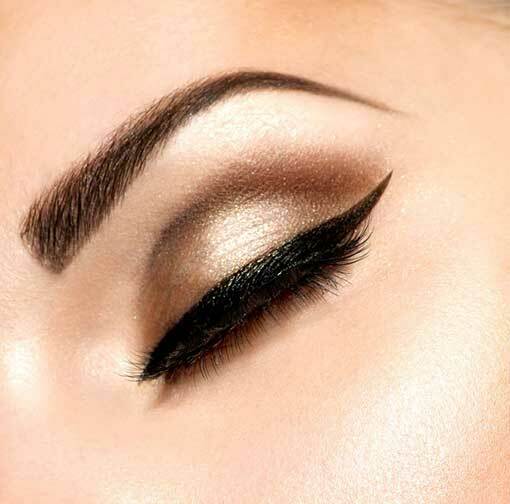 Brows that enhance the face and lift the eyes. Colour that lasts up to 6 weeks. Can be applied to the skin to create more density. Henna > waxing > tweeze and trim (threading optional). 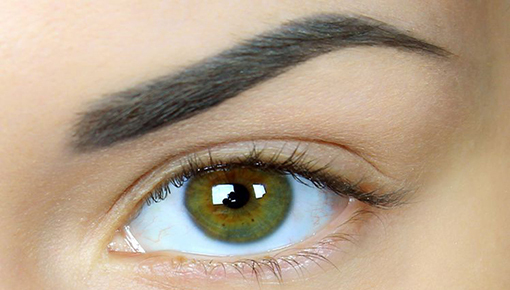 Creates perfectly defined and nourished brows without chemicals and peroxide. make up free – no makeup aftercare required. Calming on the skin – No redness or trauma. Hair grow oil available to purchase. Lash Perfect eyelash extensions are semi-permanent, lasting up to 8-12 weeks with regular maintenance and care. Eyelash extensions are applied one on one to your natural lashes and provide thickness, colour and length to natural eyelashes thus enhancing the charm and appeal of your eyes making them appear fuller and more visible. When applied and removed professionally they do not damage the natural eyelash which can be the case with other eyelash systems. Your lash technician will carry out a full consultation with you and select the most suitable length and thickness to suit the look that you are looking for. To maintain the fullness of the lashes and to keep their perfect appearance, we do recommend that they are retouched every two to three weeks. Application procedure is very comfortable and relaxing. Lash Perfect eyelash extensions can be removed at any time by one of our professionals. London Lash Pro Russian Lashes are semi-permanent, lasting up to 8-12 weeks with regular maintenance and care. Eyelash extensions are applied using lashes that are much lighter than classic lash extensions and involves an intricate technique to gently flare the lashes using 3 or more silk lashes that are then applied in a strict one on one application to your natural lashes. Russian lashes create super feathery and light weight lashes that improves your natural thickness, colour and length for perfect definition to your eyes. When applied and removed professionally they do not damage the natural eyelash which can be the case with other eyelash systems. Your lash technician will carry out a full consultation with you and select the most suitable length and thickness to suit the look that you are looking for. To maintain the fullness of the lashes and to keep their perfect appearance, we do recommend that they are retouched every two to three weeks. Application procedure is very comfortable and relaxing. 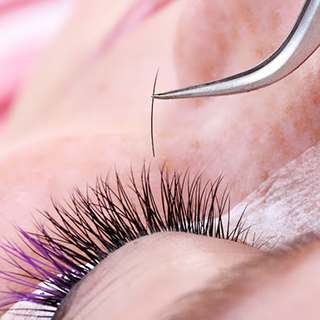 London Lash Pro eyelash extensions can be removed at any time by one of our professionals. La La lashes are the perfect alternative for special occasions, holidays and for those not wanting to commit to the Lash Perfect maintenance system. Individual lashes are dropped onto the natural lashes to create colour, length and volume. Because they are not applied 1 on 1 the application is not limited to the number of natural lashes and an ideal way to create both a natural or false lash effect. As these are not applied one on one, these lashes must be removed professionally within 2/3 weeks in order that they do not interfere with the natural cycle of your own lashes. A patch test is required 24-48 hours prior to treatment for all lash extensions, tinting and perming treatments and unfortunately we cannot make exceptions. Threading is an ancient method of hair removal originating in Central Asia and India. The technique of threading involves a thin cotton thread that is twisted and rolled over areas of unwanted hair, plucking the hair at the follicle level. It’s great for hair removal on other parts of the face and as an alternative method of hair removal where waxing is not permitted due to sensitive or delicate skin especially due to medication.